Banned drugs in India 2018 has one Breaking news recently. As we all know the verdict of Supreme Court Banned 328 list of FCD drugs in India. But now there is a change in the verdict of supreme court. The Supreme Court on Monday has given permission restrictively for the sale of three fixed dose combination (FDC) drugs. These are the three fixed dose combination (FDC) drugs that got the manufacturing rights again. Lets see these Supreme Court allowed Drugs for sale in detail. Saridon is from Piramal Healthcare’s manufacturing unit. Saridon Tablet, classified as a mild analgesic, is used to treat fever and is the most commonly used pain reliever. It is used to relieve pain in case of a backache, a headache, arthritis and a toothache. Piriton an Expectorant is from GlaxoSmithKline’s company. Piriton 4 mg Tablet is an antihistamine that is used to prevent or treat allergic reactions like hay fever or urticaria caused by pollen, dust, or animal hair. Piriton Syrup and Piriton Tablet formats make a great hay fever treatment option for all the family. Piriton can relieve the symptoms of hay fever and other allergies, and so aid restful sleep when symptoms are troublesome at night. Piriton can also be used to relieve the itchy rash of chickenpox. Dart is the medicine from Juggat Pharma’s industry. Three fixed dose combination (FDC) drugs including Piramal Healthcare’s Saridon, GlaxoSmithKline’s Piriton Expectorant, Juggat Pharma’s Dart have now got free from the ban. As we all aware, these three drugs were among 328 fixed dose combination banned by Union health ministry on September 7th officially released on 12th of September 2018 through a government notification following a Drugs Technical Advisory Committee report. The order to this effect was issued by a bench of Justices R F Nariman and Indu Malhotra following a petition by drug manufacturers. Then the government took the decision on the recommendation of a panel constituted by the Centre on the SC’s direction to review safety, efficacy and therapeutic justification of fixed dose combination banned by Union health ministry. The DTAB in its report recommended, amongst other things, that there is no therapeutic justification for the ingredients contained in these FDCs. The drug firms argued that they have been manufacturing these drugs since 1988 and should be exempted from the ban. They cited the apex court’ earlier relief to 15 drugs on the basis of the similar grounds. The bench asked the Union health ministry to give its opinion on the petitions filed against the order. Manufacturers challenged the government’s decision to ban the drugs and, argued that they have been making these combinations since before 1988. The companies also said that since the Supreme Court had earlier exempted 15 such combination drugs from the ban, the same exemptions should be extended to them, as well, the report quoted lawyers as saying. Earlier the Delhi High Court on Friday permitted Wockhardt to carry out sale of its anti-inflammatory drug, Ace Proxyvon till September 18. Wockhardt has been manufacturing Ace Proxyvon since last 11 years. Though the health ministry has banned Wockhardt’s anti-inflammatory drug among others based on DTAB report, the company pointed out that it has not yet received the copy of the report. Earlier, the Central government had, through its notifications published on the March 10, 2016 in the Gazette of India, prohibited the manufacture for sale, sale and distribution for human use of 344 FDCs under section 26 A of the Drugs and Cosmetics Act, 1940. Subsequently, the Government had prohibited five more FDCs in addition to the 344 under the same provisions.However, the matter was contested by the affected manufacturers in various High Courts and the Supreme Court of India. In compliance with the directions given by the Supreme Court of India in its judgment dated the December 15, 2017, the matter was examined by the DTAB constituted under section 5 of the Drugs and Cosmetics Act, 1940 which furnished its report on these drugs to the Central Government. The Board recommended that it is necessary to prohibit the manufacture, sale or distribution of these FDCs under section 26 A of the Drugs and Cosmetics Act, 1940 as they lacked therapeutic justification. 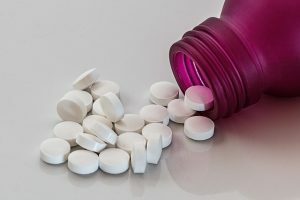 With regard to six FDCs, the Board recommended that their manufacture, sale and distribution be restricted subject to certain conditions based on their therapeutic justification. Fifteen FDCs out of the 344 prohibited on the 10th March, 2016, which were claimed to be manufactured prior to 21st September, 1988, have been kept out of the purview of current notifications. As we come to know that the Delhi high court had earlier allowed Indian pharma major Wockhardt to sell its Ace Proxyvon tablets, which is a mixture of three salts — aceclofenac, paracetamol and rabeprazol — a combination that is banned. Now these three drugs that are fixed dose combination (FDC) drugs including Piramal Healthcare’s Saridon, GlaxoSmithKline’s Piriton Expectorant, Juggat Pharma’s Dart have now got free from the ban. This is the Latest news and update on Banned drugs in India 2018. For more latest news. Please visit us again.